If you're serious about finding a great job in criminology or criminal justice, exciting and rewarding career options exist nearly everywhere. One often overlooked but certainly not an underwhelming source of amazing careers is in the United States Armed Forces. The U.S. military has a large law enforcement infrastructure which includes both civilian and military police, as well as special investigators. These careers offer opportunities and challenges that careers in the civilian sector don't. If you're looking for a unique and demanding career in criminal justice, you want to check out these military law enforcement career profiles. When talking about criminal justice and criminology jobs in the military, perhaps the most obvious starting point is military police. MP's, as they're popularly called, have a huge job in the U.S. military. They maintain law and order on base, investigate minor crimes and make arrests. Besides serving functions similar to their civilian counterparts, though, military police also must be ready for battle. They are subject to deployment anywhere their respective branch is present. 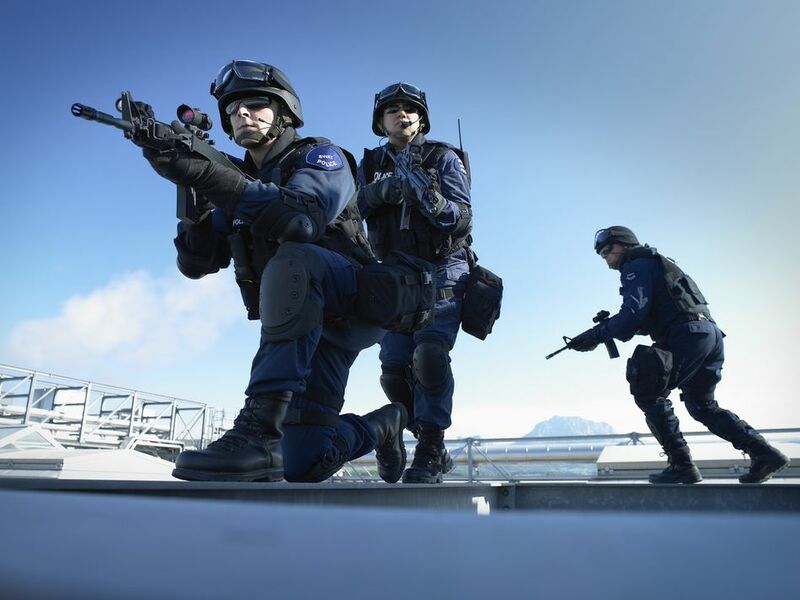 While deployed, military police provide base, camp and battlefield security, assist with dignitary protection details and help train host-nation police forces. They also serve as corrections officers and are responsible for guarding convicted military personnel, foreign detainees and prisoners of war. In addition to the military police commands, each branch of the U.S. Armed Forces, as well as the Department of Defense, maintain a civilian police force. Known collectively as DoD police, these officers augment the military police functions at military installations on the home front, freeing up military police personnel to train and get ready for deployment. The job of a DoD police officer is very much like that of a civilian police officer in any local or state government. Officers perform patrol functions, investigate minor crimes, and traffic crashes, make arrests and enforce traffic laws on base. DoD police jurisdiction is limited to the base they are serving on, though mutual aid agreements may be entered into with local agencies allowing defense police officers to enforce laws off base when necessary. In addition to military police and the civilian DoD police, each branch also maintains a special investigations operation. The Naval Criminal Investigative Service (NCIS) is probably the best known, due largely in part to the popular television show of the same name. NCIS special agents are responsible for investigating major crimes committed by or against civilian and military members of the United States Navy as well as the U.S. Marine Corps, which falls under the Department of the Navy. Crimes investigated range from robbery and fraud to murder. NCIS agents also conduct counter-terrorism and intelligence operations and work to help protect U.S. Navy interests around the world. The Air Force Office of Special Investigations employs special agents to conduct unbiased and independent investigations of Air Force personnel. Their primary function is to investigate criminal activity and provide intelligence. AFOSI is also tasked with the security of the nation's defense technology infrastructure. The agency hosts the Defense Cyber Crime Center, where computer forensics investigators train and work to protect the DoD's information technology systems. AFOSI special agents investigate major crimes involving Air Force personnel, as well as financial crimes and instances of fraud. They also provide support for military forces and identify threats to Air Force interests and national security. Special agents of the U.S. Army Criminal Investigations Command are highly trained investigators who serve alongside military police and soldiers. They are subject to deployment anywhere the Army has a presence and may be involved in almost every facet of Army activity. CID special agents investigate crimes committed by or against Army personnel or in which the Army has a direct interest. They also assist local and state law enforcement officials in the conduct of off-base investigations or those that may involve Army personnel outside of the normal jurisdiction of the Army. CID investigators also consult and train host-nation police forces and provide security and dignitary protection for high-ranking military and civilian officials. The Defense Criminal Investigative Service is the investigative arm of the Department of Defense's inspector general. Special agents of the DCIS are primarily tasked with conducting investigations related to financial crimes, fraud, and cybersecurity. The primary goal of DCIS agents is to protect the interests of the Department of Defense by routing out public corruption, as well as to ensure the safety of military personnel. Whether you're just starting out on your career path or you're looking for something more permanent, the U.S. Military provides plenty of unique opportunities for criminal justice job seekers. Take the time to explore how working with the military can enhance your career prospects.